The app gives you a choice of 4 tours. For each tour sector there are between 7 & 15 murals to visit and each mural gives you a piece of a puzzle and as an incentive at the end of each tour the puzzle is completed. The completed puzzle for each of the sector provides you with information on the murals that are outside of the central business district. The app has been developed to operate IOS8.4 in accordance with IOS user interface guidelines. The first category is best use of local council data to value add to the experience of visiting Towoomba and interact with the unique Toowoomba murals. 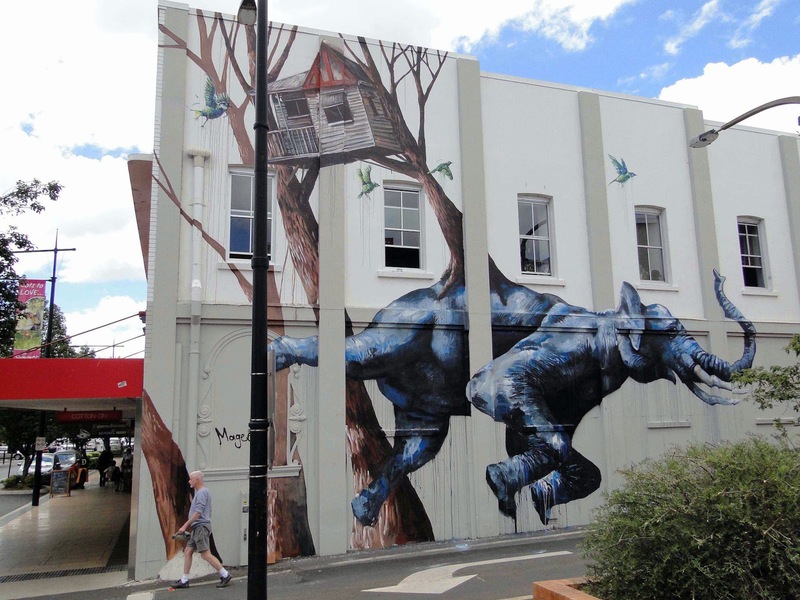 The team have used the www.firstcoat.com website as it is the repository of the 2015 Toowoomba murals and the open data from the Toowoomba Regional Council for tourism data and maps. The inital research showed no interactive app or tour is available , and no complete list of all the Toowoomba murals in one place. The project meets the need of value adding to the mural experience, find them, learn about them, more about the artist and have fun on this unique guided tour of the city's murals. The project fits the Bounty category for a very useful app to make the most of the "First Coat" initiative and enrich the experience of the observer. It is easily retrievable information in a guided discovery adventure for the resident, the tourist and for school art excursions. The ABC regional bounty category and the data from ABC regional stories and the ABC Local Online Photo stories data were used in the mash up of data in our research and for the artwork and artist story background. For the QUT Innovation category, the open data used from Toowoomba Regional Council takes what is available about the murals from a 2 dimensional and website overview to a tour experience that engages the observer and provides Toowoomba a tourist experience that is unique.